Liz joined BSW Bloodstock in December of 2015 and brings valuable experience from her extensive racing background. 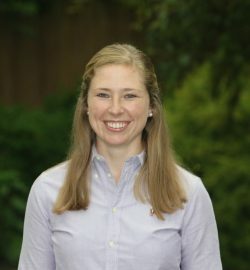 From 2011 – 2015 Liz was Director of Racing for Bradley Thoroughbreds in Lexington, Kentucky where she developed, managed and expanded the racing partnerships. While at Bradley Thoroughbreds, she assisted in the management of Breeders Cup Winner and Champion Dayatthespa and in the management and selection process of International purchases: G1W Desert Blanc (GB), Dacita (CHI) and Watsdachances (IRE), and Graded Stakes Winners Goldy Espony (FR), and Kya One (FR). Liz was also a major contributor in the selection of two-year-old in training purchases: G3W Strict Compliance, G3W Delightful Joy, Graded Stakes Placed Allied Air Raid, as well as pinhook venture graduates and G1 winners: Lady Eli, V.E. Day, and Moanin. Prior to joining BSW Bloodstock, Liz assisted top trainers Eoin Harty and Jonathan Sheppard in California and New York and gained valuable experience as the Claims Clerk for Churchill Downs in 2008-2009 and Entry Clerk for Pimlico Racecourse in 2007. Liz holds a B.S. in Business Administration from the University of Louisville Equine Business Program. Liz now manages the growing 60 horse stable for Ten Strike Racing; and assists BSW clients in representation at public auction and management and organization of their stables. In 2017 Liz in partnership with Paul Sharp purchased a Union Rags colt for $60,000 and resold for $1,000,000 at OBS April 2017 in their first year operating the Crow-Sharp Pinhook Venture. A native of Bethesda, Maryland, Liz is an accomplished rider and foxhunter having grown up in the hunter show ring. She lives in Lexington, KY with her husband, Kevin Noltemeyer.